The group's ballsiest album to date, a surging, hard-rocking follow-up to Bursting at the Seams, which debuted a new lineup, Richard Hudson, John Ford, and Blue Weaver having left to form their own group. 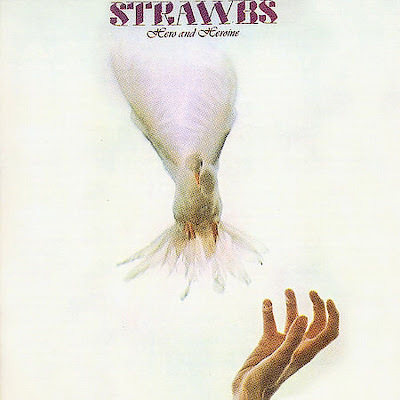 In their places, ex-Nashville Teens keyboardman John Hawken and the more muscular rhythm section of Rod Coombes and Chas Cronk make their debut, on what is the Strawbs' first fully electric album. Dave Cousins' songwriting (augmented by Dave Lambert, who also contributes some slashing electric lead guitar) is still as romantic as ever in various spots ("Shine On Silver Sun," "Deep Summer's Sleep"), but also boasts dark visions ("Round and Round") which, coupled with new band's muscular playing, made the Strawbs one of the hardest-rocking progressive bands in the world. They should have been able to blow acts like the Moody Blues off the stage, so what went wrong with this album and the tour? One suspects it was a little too serious and complex for kids who were just looking for a soundtrack to their drug experiences, and it rocked too hard for the "sensitive" English-major types who got off on Cousins' lyrics -- in a sense, the Strawbs were squeezed out of the middle in a very small-scale, subtle 1970s version of the old folk-versus-rock battles of the '60s. Hero and Heroine deserved better, being one of the best guitar-driven progressive rock albums of its period.